Four nations, each beset by conflict and violence, where national, regional and global interests collide… How did American & British news media cover five years of elections in this crescent of the world? Today, across the globe, media provide up-to-date news essentially while events are occurring. But although many people watch, listen or read foreign news, very few have the knowledge or take the time to assess how international events are framed. The International Center for Media & the Public Agenda (ICMPA) conducted a study on how U.S. and British news media have covered the region by researching how a dozen major news outlets in the United States and the United Kingdom covered five years of presidential and parliamentary elections: in 2010 and 2005 in Iraq, in 2009 in Afghanistan and Iran, and in 2008 in Pakistan. To further compare the reporting, ICMPA also looked at how Al Jazeera (English) covered the last four of those elections. Has the portrait of the “Muslim world” drawn in the aftermath of 9/11 and the start of the war in Iraq changed since the end of the Bush and Blair administrations? How have media “re-framed” the Islamic world for their audiences? WHAT WERE THE STUDY’S TOP HIGHLIGHTS? “TERRORISM” IS ABATING – AT LEAST THE PRACTICE OF REFLEXIVELY CONSIDERING THOSE WHO OPPOSE AMERICAN-STYLE INSTITUTIONS AS TERRORISTS. …..Media are more careful about what they call ‘terrorism.’ Following 9/11, U.S. and U.K. media covered elections in the Muslim world as if they were cosmic battles between the forces of terrorism and those of democracy. By 2005 and the election in Iraq, media on both sides of the Atlantic had grown skeptical of foreign policies of the White House and Downing Street, but still stenographically reported the governments’ terrorism v. democracy rhetoric. “The people of Iraq have firmly rejected the anti-democratic ideology of the terrorists,” the Times, in London, quoted Bush as saying. …..But five years later, for the March 7, 2010 election in Iraq, when media talked – or quoted others as talking – about terror, it was in specific reference to a particular act of terror, such as a suicide bombing. WHO ARE THE NEW BAD GUYS? FRAUD & CORRUPTION. …..The cases of fraud and corruption that have dominated media in the U.S. and U.K. have put corruption elsewhere around the world higher on the agenda. While it has always been the case that democratic institutions are undermined by corruption, U.S. and U.K. media attention to foreign stories of corruption – other than misuse of aid – has been limited. No more. In recent elections, coverage of corruption and fraud has been almost as extensive as coverage of security concerns. But no huzzas, quite yet. Problems remain with media coverage. WHEN AMERICANS AND THE BRITISH FEEL EVENTS ARE BEING OVERTAKEN BY TERRORISTS, MEDIA CAN STILL BE TEMPTED TO BROADLY CHARACTERIZE ENEMIES – OR EVEN JUST POLITICAL OPPONENTS – BY PEJORATIVELY REFERENCING RELIGION. …..So, for instance, while covering the election and its surrounding violence in Pakistan, media spoke about “radical Muslim clerics,” “Islamic extremists,” “Islamic radicals” and “Islamic fundamentalists” – all without clear indications of what those phrases meant in context or in relative terms. During the 2010 election in Iraq and the 2009 election in Iran, however, media more clearly identified sectarian divisions and political parties, forswearing the temptation of speaking in too generic of terms. …..Just as monolithic references to a group or a policy as “Muslim” or “Islamic” hides important distinctions, so too does use of the term “Western” obscure differences between the U.S. and the U.K., or the U.K. and other European countries, etc. MEDIA STILL COVER ELECTIONS AS REFERENDA ON U.S. FOREIGN POLICY AND MILITARY STRATEGY – AND ON WHETHER THE U.S. HAS ALIGNED ITSELF WITH GENUINE LEADERS (rather than with strongmen who appear to offer stability at a cost of their countries’ civil and human rights record). VIOLENCE MAKES THE NEWS, BUT MEDIA HAVE BECOME BLASÉ ABOUT SUICIDE BOMBINGS. BOMBINGS ARE REPORTED, BUT AS A YARDSTICK FOR ASSESSING THE SECURITY LEVEL OF A COUNTRY. …..Are terrorists – the Taliban, al Qaeda – gaining ground? What does the level of violence mean for Pakistan, for instance … and what are the implications for the United States? The problem is that since the perpetrators of violent attacks – as well as the victims – are rarely clearly identified, an audience’s understanding of the implications of and possible solutions to the violence is strictly limited. COVERAGE OF ELECTIONS REMAINS “TOP-DOWN”: MEDIA PAY TOO LITTLE ATTENTION TO VOTERS BEYOND TALKING ABOUT VOTING BLOCKS OR RELIGIOUS/TRIBAL DIVISIONS. …..When talking about voters, media too often portray them as a faceless mob, manipulated by politicians and religious leaders. Media too rarely portray the public as being independently responsive to policy decisions by authorities. WOMEN: REPORTS ON THEIR STATUS CONTINUE TO BE USED TO EVALUATE A COUNTRY’S PROGRESS TOWARD CIVIL RIGHTS FOR CITIZENS. …..And reports on their victimization are still used to indict those who abuse them – whether those are husbands or the state. 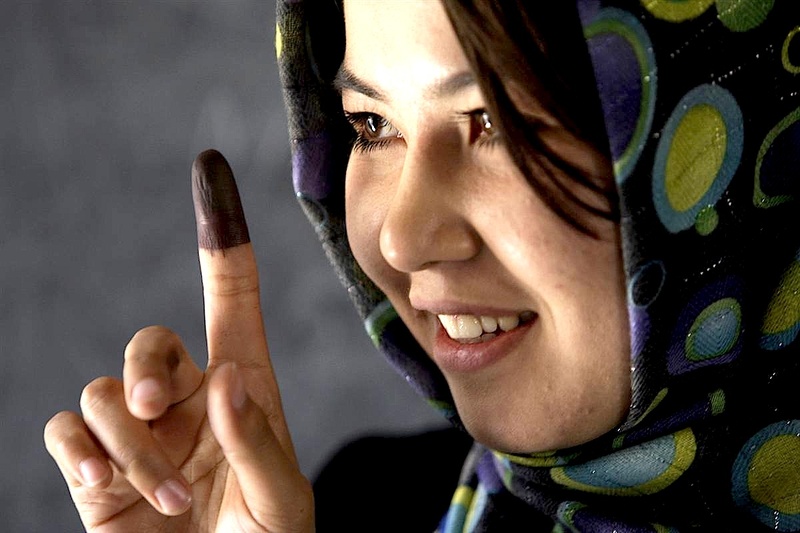 But overall women in Afghanistan, Pakistan, Iran and Iraq received little coverage in the time periods of the elections – and significantly less than they did in the immediate aftermath of 9/11. WITH THE EXCEPTION OF THE 2009 ELECTION IN IRAN, U.S. AND U.K. MAINSTREAM MEDIA HAVE NOT TAPPED INTO SOCIAL MEDIA FOR LOCAL OPINIONS AND EYEWITNESS REPORTS. …..Iranians in the streets covered their own protests after the international press corps was booted out of the country. But in other countries where foreign journalists have had access, there has been little effort to tap into YouTube postings, Tweets, Facebook, the blogosphere or other social media outlets to supplement and deepen coverage. IBM’S online ManyEyes platform makes the data and analysis of this study more transparent than any other similar known study. …..All the data sets used for this study are publicly available online via this website’s links to ManyEyes visualizations. By visiting those visualizations, users of this site can not only confirm the research teams’ evaluations, they can use our open data sets to create their own studies. …..It is our hope that this transparency in research becomes the standard not only in academe, but within governments, think tanks and international organizations. In an era when many are advocating for more Open Source practices in IT development and production, we believe that research should be openly sourced and shared as well. Photo of Afghan woman by AP/MSNBC.